U.S. District Judge William Alsup is supervising PG&E’s probation in the wake of its criminal conviction for the 2010 gas explosion in San Bruno that killed eight people. The federal judge proposed PG&E comply with additional probation terms after concluding the utility’s deficient safety efforts were the cause of deadly wildfires in Northern California in 2017 and 2018. Alsup proposed five additional probation terms, some of which PG&E is requesting to modify. 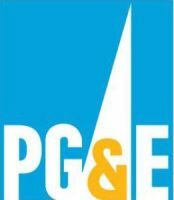 PG&E is challenging a pair of conditions related to vegetation management and its plan for reducing wildfire risk. The utility said in court filings that a constant state of perfect compliance would involve intensive clear-cutting that is not legally, financially or practically possible. The company also argued that making vegetation management a condition of its probation would usurp the role of its regulator, the California Public Utilities Commission (PUC). The PUC urged the court to refrain from requiring a wildfire mitigation plan because the regulator has yet to finalize and approve the plan. PG&E is likewise challenging a proposed probation condition that would prohibit the company from paying dividends to shareholders until it complies with its vegetation management requirements. The utility noted in a filing that it has already suspended dividend payments for the course of its bankruptcy process. The utility said a further prohibition on paying dividends would constrain its ability to raise equity capital. “In the ordinary course of business, PG&E must raise significant amounts of capital to finance improvements and investments needed to provide safe and reliable service,” PG&E stated in a filing. Mike Danko, an attorney representing some of the Northern California wildfire victims, said PG&E should not take issue with the additional probation terms because they essentially hold the company to what it has already promised. “The judge suggested they do nothing other than what they already were doing, so it’s hard to argue with that,” Danko said. Danko also said PG&E is using circular logic in its argument against the dividends prohibition, and the company’s only concern is its shareholders.